Doesn't your family deserve clean and healthy air? We believe you do. Our company was established to provide efficient, expert solutions to commercial and residential indoor air quality. Our primary services include Air Duct Cleaning, Dryer Vent Cleaning, Dust Collector Cleaning, Trash & Linen Chute Cleaning along with Duct Wrap Insulation. We also offer a host of specialty services to cater to the unique needs of our clients, such as fires, floods and mold. Our staff takes pride in being trained experts in the field of indoor air quality services. We use the most state of the art equipment in the industry today. 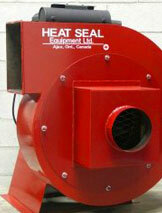 Air Gott Services Inc. uses the most advanced H.E.P.A. 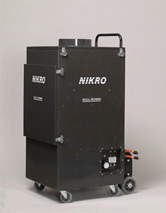 (High Efficiency Particulate Air) filtered air duct cleaning system available. It is designed and manufactured by Nikro Industries & Heat Seal, which are the leading manufactures of H.E.P.A. 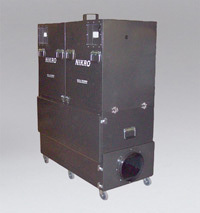 filtered vacuum equipment in the United States. All of our equipment is manufactured to meet or exceed OSHA, EPA, and NADCA standards for cleaning the air of nuisance dusts. Our promise to provide outstanding customer service & setting industry standards for quality & professionalism. To meet and exceed our standards everyday. Air Gott Services was founded in 1998 by Duane Gottschalk in Annapolis, MD an has been a leading force in the HVAC cleaning industry. Using the most advanced equipment available in our field, all jobs are handled efficiently with great care and skill. We pride ourselves on 100% satisfaction. Duane has also worked very hard for the past 2 years and received his License in November of 2012 as a Commercial & Residential Pest Control Applicator in the State of MD after completing his Pesticide Use & Safety course through the University of MD and his IPM in Public Buildings & Landscapes through Purdue University. Our 5th Annual Food Drive of 2012 was a huge success again this year and helped the many people at Lighthouse Shelter in Annapolis. We are thankful to everyone that helped us reach our goal! Air Gott Services is proud to announce that we are now a License Commercial & Residential Pest Control Applicator in the State of MD. We offer General Pest & Rodent Control. NADCA Safety Award Winner In recognition for our outstanding safety record and was announced and presented at the 2012 Puerto Rico Conference. Serving all of Maryland, DC, Northern VA, and Delaware along with Nationwide Dust Collector Services. We offer 24/7 Emergency Service.